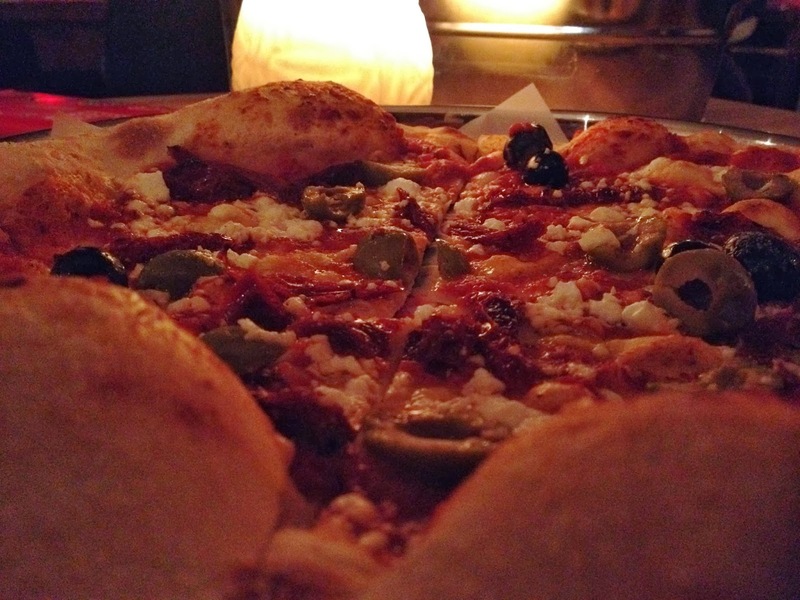 I have heard a lot about the greatness of Sela Bar's pizzas but hadn't had chance to try them until last Friday. I have been to Sela for a few drinks on many occasions, they have great beers on tap which change over regularly, acoustic nights and a great bunch of people in front and behind the bar. I'm not entirely sure what time they serve pizzas until each night but they were still dishing them out to people at 8pm when we left to go upstairs to Wax Bar. 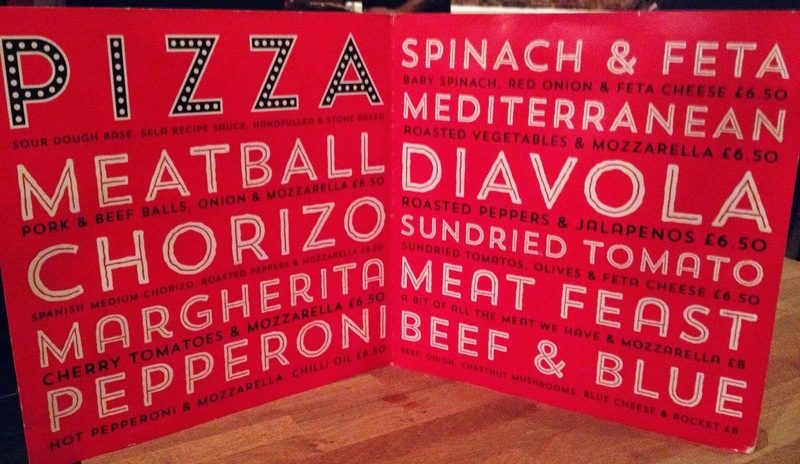 The menu is simple, there isn't an overload of choice just 10 pizzas and a few sides. Me and C went after work on Friday around 6pm and found a table straight away. The place was busy but not overly so, I do think we took the last table however. C went to the bar to get a couple of pints in whilst I looked over the menu. To say there are only 10 choices it was incredibly difficult to decide what to have! 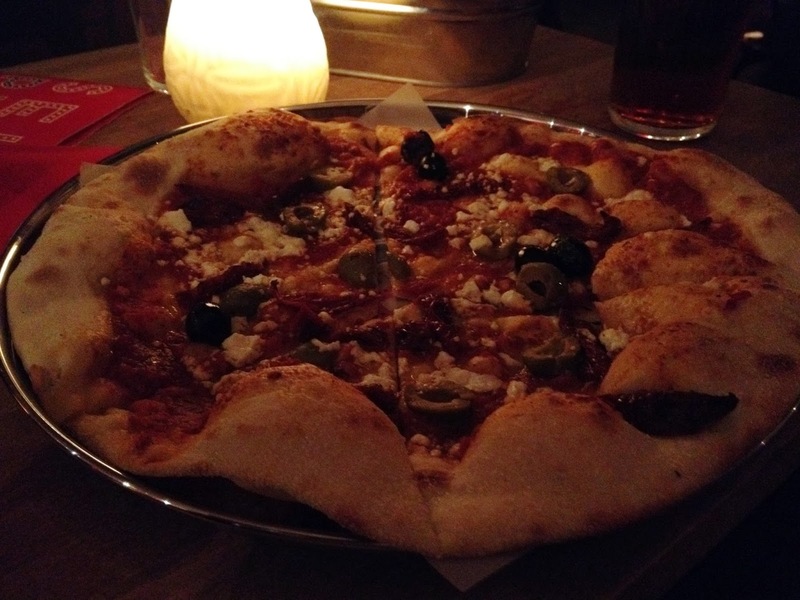 In the end we settle for 'Sundried Tomato' which comes with (surprisingly) sundried tomato, olive and feta cheese. We had one to share between the two of us but I reckon I could eat a whole one to myself (stupid diet). The base was extra thin, crispy and littered with bread bubbles. The toppings weren't overloaded on to the base and were top quality too. Three distinct flavours none of them getting lost in the crowd. I cannot express enough how good these pizzas are. I feel a new addiction may have been born. I want to try them all!! 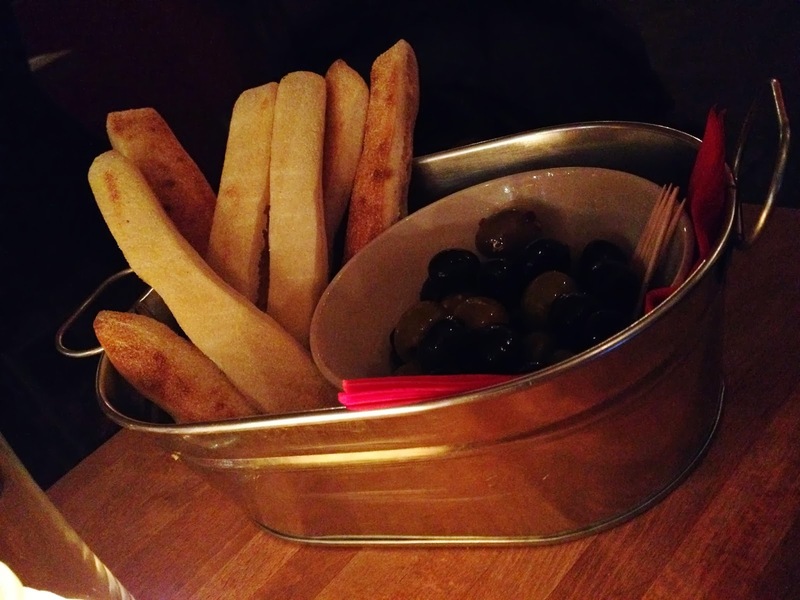 In addition to the pizza we got some dough sticks and olives. The oil and balsamic vinegar was in the bottom of the olive pot and we did wonder if they were just served dry until we ate enough olives to notice. We could have done with some more oil/vinegar to be honest. The olives were good, the green better than the black but this is often my opinion. The dough sticks were soft and served warmed. The pizza and side cost £9.50 which is very reasonable. If you haven't been yet - what are you waiting for! ?